(1) Shift from rural to suburban and urban locations: Nearly nine in 10 radiation oncologists work in urban or suburban communities (47% and 41%, respectively). Since the previous workforce survey in 2012, the proportion of rural radiation oncologists declined from 16% to 13%, indicating that rural access to radiation therapy services may be under threat. 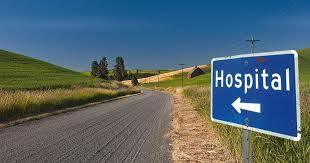 The trend may be exacerbated by disproportionately more physicians leaving the rural workforce and fewer new physicians taking positions in these communities. Nearly 30% of radiation oncologists in rural communities plan to retire or reduce hours in the next five years, compared to 18% of urban/suburban physicians. Moreover, surveys of recent radiation oncology graduates point to growing demand for jobs in major cities coupled with waning demand for those in smaller cities. (3) Shift from private practice to academic hubs: Radiation oncologists also are shifting from working primarily in private practice to treating patients at academic centers and hospitals. The 2017 survey marks the first time that fewer than half of these doctors work in private practice (38%), with 41% practicing at academic/university centers and 17% at non-academic hospitals. (4) Widespread adoption of new technology: 95% of practices offer shortened, or hypofractionated, radiation therapy, providing their patients a more convenient treatment option without increasing the risk of side effects or the cancer returning. The most common tumors for hypofractionation include breast tumors (94% of practices), bone metastases (92%) and brain metastases (74%). Clinics also increased adoption of advanced technologies and techniques for providing radiation therapy treatments, such as stereotactic radiation and real-time image guidance. ASTRO conducts workforce studies to identify trends in provider demographics, employment and technology use, and to assess the profession's ability to meet patient needs. The 2017 survey was conducted online, and findings reflect responses from 1,174 radiation oncologists representing 726 practices (31% response rate). Radiation oncology workforce study shows potential threat to rural cancer care access. Appl Rad Oncol.